This is so true and yet so hard to remember. Pastors and Christians in general get easily discouraged in doing good to others because of the lack of fruit that they see for all of their sowing. But God’s Word encourages us that “in due season we will reap, if we do not give up” (Gal. 6:9). “The harvest will come. It will come at the proper time, a time determined not by the seasons or the weather, but by the will of God. Whether it comes during this life or when Christ comes again (cf. 1 Tim. 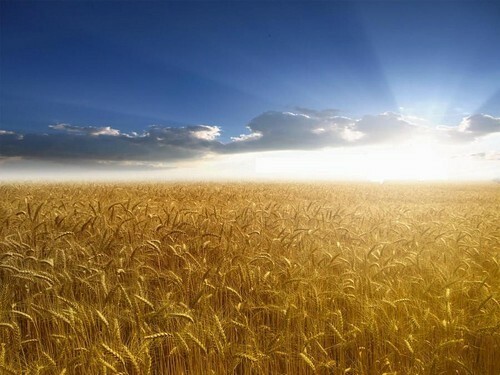 6:15), the harvest will come in God’s own good time. In due season, those who do good will reap their reward. Jesus says, “Behold, I am coming soon, bringing my recompense with me, to repay everyone for what he has done” (Rev. 22:12). Until the harvest comes, we must keep sowing. A good example of what it means to sow and then to wait for the reaping comes from the life of William Carey, the first modern missionary to India. From the day that he arrived on the subcontinent in 1793, Carey began to teach the Bible to anyone who would listen. This he continued to do for the next seven years without winning so much as a single convert to Christ. Not surprisingly, Carey sometimes got discouraged. On one occasion he wrote back to his family in England: “I feel as a farmer does about his crop: sometimes I think the seed is springing, and thus I hope; a little time blasts all, and my hopes are gone like a cloud. They were only weeds which appeared; or if a little corn sprung up, it quickly dies, being either choked with weeds, or parched up by the sun of persecution. Yet I still hope in God, and will go forth in his strength.” Though he sometimes grew weary in doing good, Carey refused to give up. In 1800 he finally began to reap what he had sown, baptizing his first Hindu convert in the Ganges River. This was the firstfruits of a great harvest among the Indian people. But here is the remarkable part of the story: The sermon Short remembered had been preached by Flavel back in England eighty-five years before! Nearly a century had passed between the sermon and the conversion, between the sowing and the reaping. But a man reaps what he sows, and at the proper time Flavel reaped his harvest. This is a reminder not to evaluate ministry on the basis of immediate results. Too many churches, especially in America, want to taste the fruits of their labours the day they are planted. Yet most spiritual produce takes time to grow. A long time. Often it takes years before parents, teachers, or ministers are able to see their work pay off. “Be patient, therefore, brothers,” wrote the apostle James, “until the coming of the Lord. See how the farmer waits for the precious fruit of the earth, being patient about it, until it receives the early and the late rains. You also, be patient. Establish your hearts, for the coming of the Lord is at hand”” (James 5:7-8). And so, if you have grown weary in “doing good. . .to everyone, especially those who are of the household of faith” (Gal. 5:9-10), remember these words from the Apostle Paul “for in due season we will reap, if we do not give up” (Gal. 5:9). In thankfulness for God’s grace to you in Christ, sow faithfully and wait patiently for the harvest. Let Goats Entertain Goats, and Let Pastors Feed the Sheep! 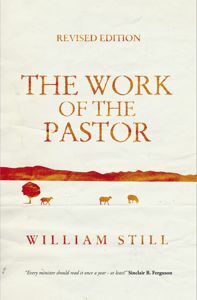 “If you think that you are called to keep a largely worldly organisation, miscalled a church, going, with infinitesimal doses of innocuous sub-Christian drugs or stimulants, then the only help I can give you is to advise you to give up the hope of the ministry and go and be a street scavenger; a far healthier and more godly job, keeping the streets tidy, than cluttering the church with a lot of worldly claptrap in the delusion that you are doing a job for God. The pastor is called to feed the sheep, even if the sheep do not want to be fed. He is certainly not to become an entertainer of goats. Let goats entertain goats, and let them do it out in goatland. You will certainly not turn goats into sheep by pandering to their goatishness. Do we really believe that the Word of God, by His Spirit, changes, as well as maddens men? If we do, to be evangelists and pastors, feeders of sheep, we must be men of the Word of God” (p. 23).